Added fix to mannequin script so that they re-equip when reloaded. Adds mannequins to Upper collection. Directly launches stores from MCM menu. 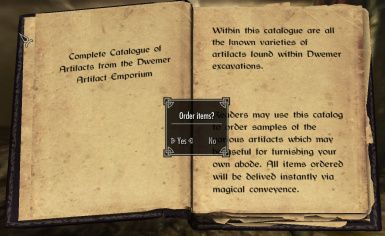 Catalogues are now purchasable from vendors if you prefer that method. A little renaming of some items. Special thanks, AGAIN, to OrmrSnaethorsen for work establishing values, weights, and sounds for the different objects. 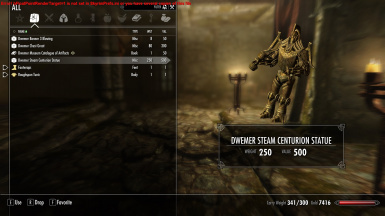 Added most base Skyrim furniture. 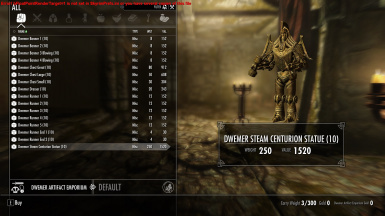 Added individual catalogs for common, noble, upper, rare, orc, dwemer, Sovngarde, etc. Consolidated settle and replacement scripts. Special thanks to OrmrSnaethorsen for work establishing values, weights, and sounds for the different objects. 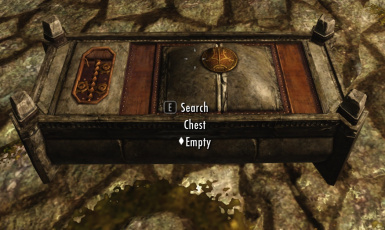 Easily find and purchase furnishings of all sorts, and simply drop them in place. "Jaxonz Droppable Statics" is now "Jaxonz Furnishings". The new name better reflects what the mod actually does and fits better with the catalog system. The name change is cosmetic only; all file names remain the same and future versions will overwrite older. 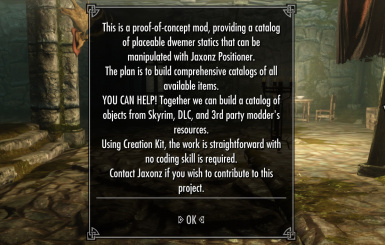 This is designed as a companion mod for Jaxonz Positioner, providing a resource for furniture, interesting objects, and all sorts of static content. The mod is continuing to evolve but not yet complete. It demonstrates a framework and foundation for extensible collections of placeable static items. Provides an interactive catalog of items for purchase. Preview each item's 3D model. 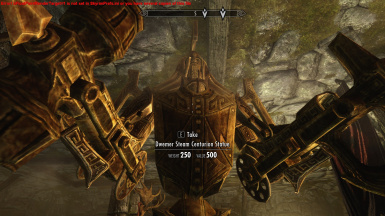 Items have lore-friendly values and weights. Containers are safe and non-respawning. Load order should not matter. 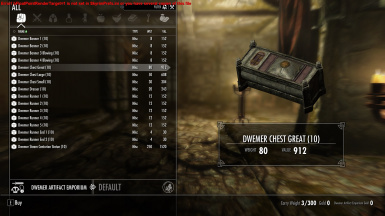 Thanks to OrmrSnaethorsen for help establishing values, weights, and sounds of Skyrim furniture and containers. Your efforts and attention to detail is very much appreciated! 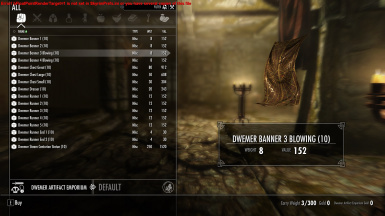 All Jaxonz mods are professionally coded for stability and high quality.